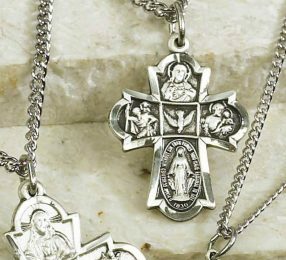 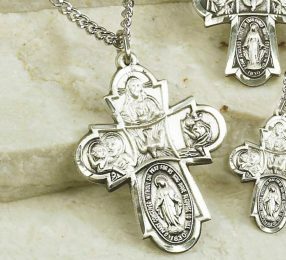 A beautiful way to protect and carry a favorite rosary. 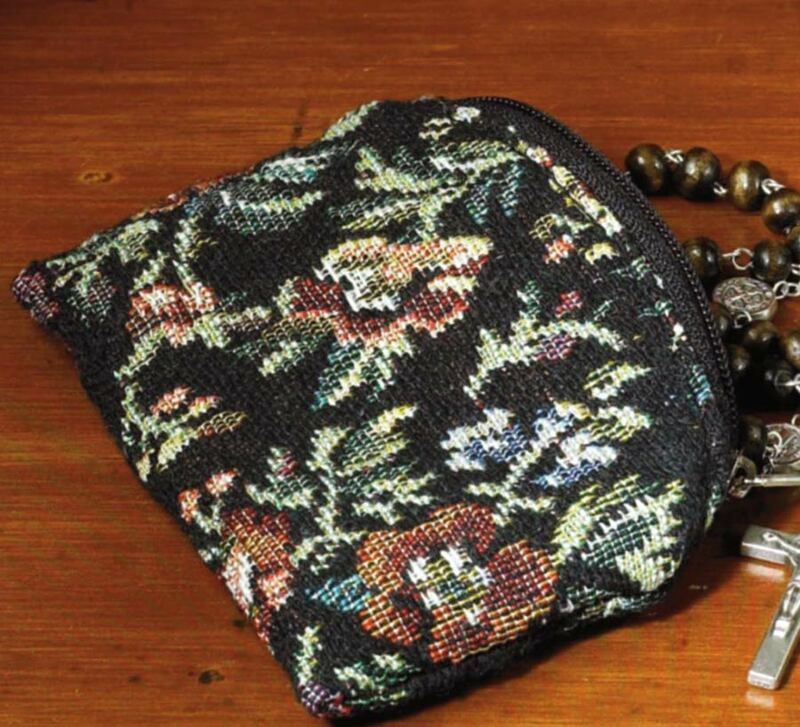 Black brocade-style pouch features a lovely floral pattern, handy zip closure and an anti-tarnish lining. 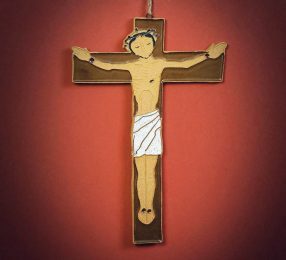 3 3/4″ x 3″.